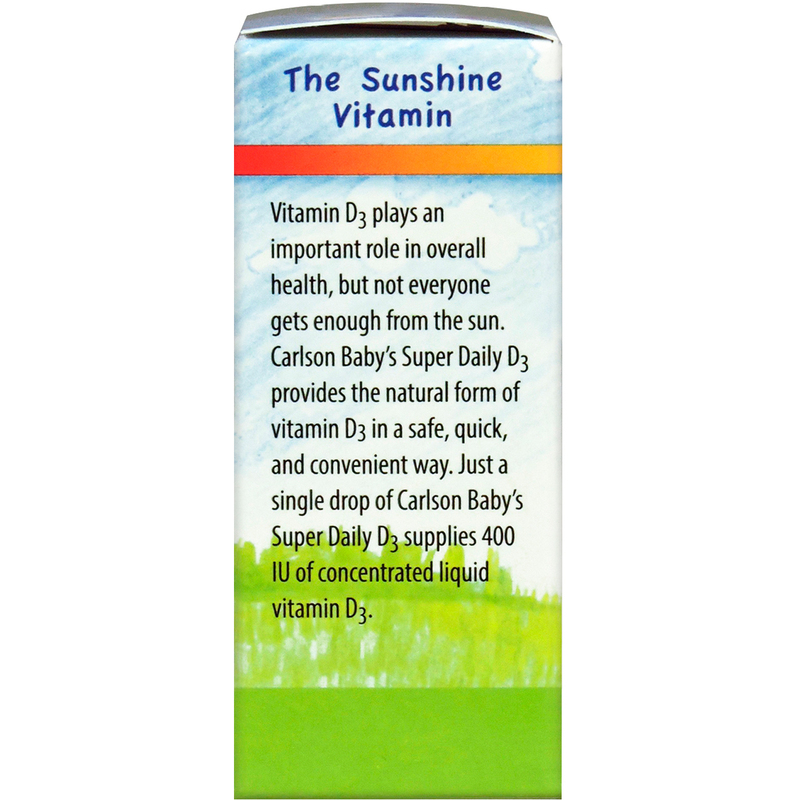 Vitamin D3 plays an important role in overall health, but not everyone gets enough from the sun. 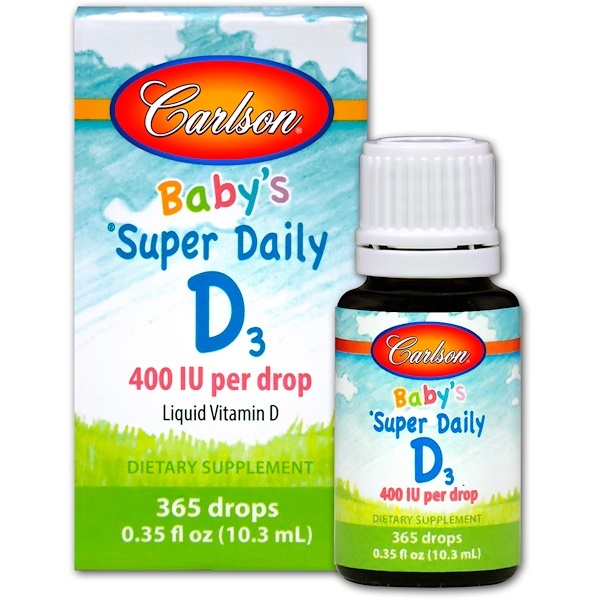 Carlson Baby’s Super Daily D3 provides the natural form of vitamin D3 in a safe, quick, and convenient way. Just a single drop of Carlson Baby’s Super Daily D3 supplies 400 IU of concentrated liquid vitamin D3. 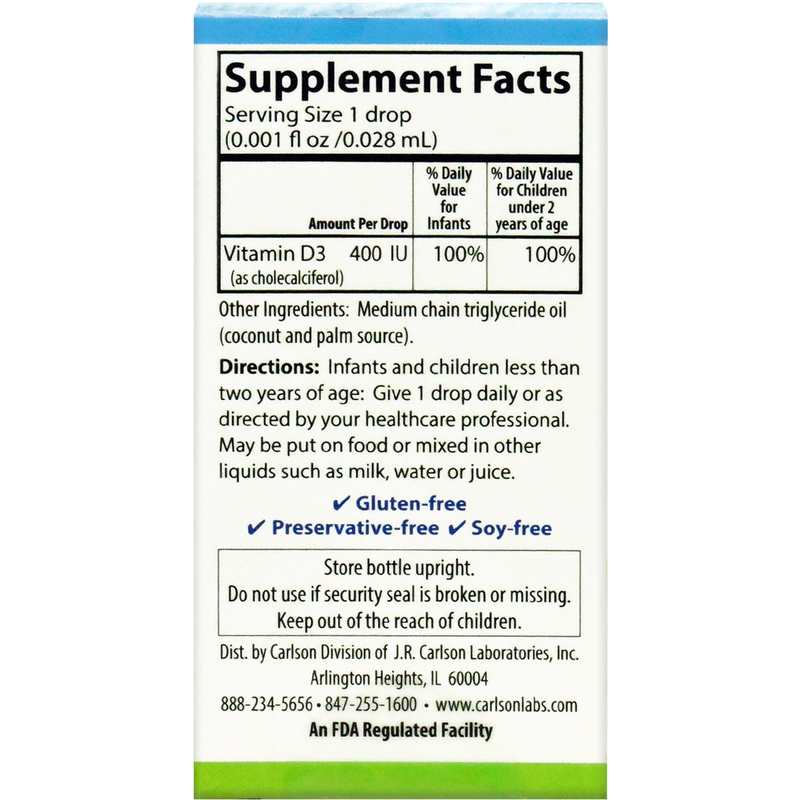 Infants and children less than two years of age: Give 1 drop daily or as directed by your healthcare professional. 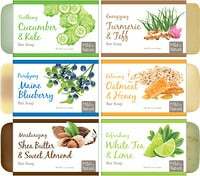 May be put on food or mixed in other liquids such as milk, water or juice.